National Agricultural Hall of Fame and Center, 630 North 126th Street, Bonner Springs KS 66012; 913-721-1075. Email: info@aghalloffame.com. Web: http://www.aghalloffame.com. 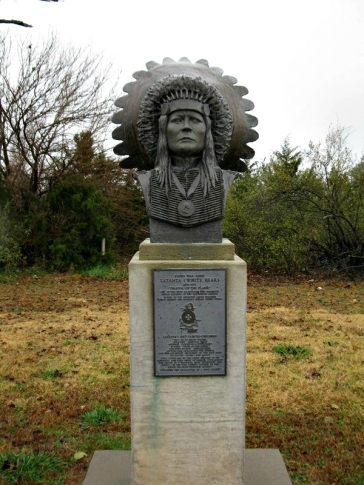 National Hall of Fame for Famous American Indians, 901 E Central Boulevard, Anadarko OK; 405-247-5555. Web: https://www.travelok.com/listings/view.profile/id.5280. University of Iowa Athletics Hall of Fame and Museum, 2425 Prairie Meadow Drive, Iowa City IA; 319-384-1031. Web: http://www.hawkeyespaces.com. North Carolina Auto Racing Hall of Fame & Walk of Fame, 119 Knob Hill Road, Mooresville NC 28117; 704-663-5331; Fax: 704-663-6949. Web: http://www.ncarhof.com. The Walk of Fame is located on the sidewalks of downtown Mooresville. Alabama Aviation Hall of Fame, Southern Museum of Flight, 4343 73rd Street N, Birmingham AL 35206; 205-833-8226. Email: info@southernmuseumofflight.org. Web: http://www.southernmuseumofflight.org. Georgia Aviation Hall of Fame, Museum of Aviation, Robin’s Air Force Base, 1942 Heritage Boulevard, Warner Robins GA; 478-328-0704. Email: GAHOF@museumofaviation.org. Web: http://www.gaaviationhalloffame.com. Iowa Aviation Hall of Fame & Museum, 2251 Airport Road, P O Box 31, Greenfield IA 50849; 641-343-7184. Email: aviation@iowatelecom.net. Web: http://www.flyingmuseum.com. North Carolina Aviation Hall of Fame, North Carolina Aviation Museum, 2222-G Pilots View Road, Asheboro NC 27205; 336-625-0170. Web: http://www.ncaviationmuseumhalloffame.com. National Ballooning Hall of Fame, National Balloon Museum, 1601 N Jefferson Way, Indianola IA 50125; 515-961-3714. Web: http://www.nationalballoonmuseum.com. National Baseball Hall of Fame and Museum, 25 Main Street, Cooperstown NY 13326; 607-547-7200; 888-425-5633. Web: http://www.baseballhall.org. Baseball Players Hall of Fame, Baseball Players Association, 103 Bradley Drive, Nicholasville KY 40356; 859-887-4114. Web: http://www.playBPA.com. North Carolina Baseball Walk of Fame, North Carolina Baseball Museum, Fleming Stadium, 300 Stadium Street, Wilson NC 27893; 252-296-3048. Web: http://www.ncbaseballmuseum.com. 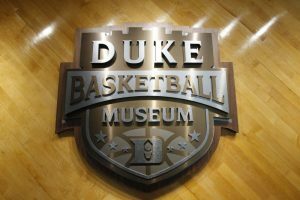 Duke Basketball Hall of Fame, Duke Basketball Museum, Schwartz-Butters Athletic Center, 306 Towerview Drive, Durham NC 27708; 919-613-7500. Web: http://www.goduke.com. Indiana Basketball Hall of Fame Museum, 408 Trojan Lane, New Castle IN 47362; 765-529-1891. Email: info@hoopshall.com. Web: http://www.hoopshall.com. Kentucky High School Basketball Hall of Fame, 212 W Dixie Avenue, Elizabethtown KY 42701; 270-234-8354. Web: http://www.khsbhf.com. National Collegiate Basketball Hall of Fame, The College Basketball Experience, 1401 Grand Boulevard, Kansas City MO 64106; 816-949-7500; Fax: 816-949-7502. Web: https://collegebasketballexperience.com/hall-of-fame. Women’s Basketball Hall of Fame, 700 Hall of Fame Drive, Knoxville TN 37915; 865-633-9000. Web: http://www.wbhof.com. The National Great Blacks in Wax Museum, 1601-03 E North Avenue, Baltimore MD 21213; 410-563-3404. Web: http://www.greatblacksinwax.org. Bluegrass Hall of Fame, International BlueGrass Music Museum, 117 Daviess Street, Owensboro KY 42303. Mailing address: 207 East 2nd Street, Owensboro KY 42303; 270-926-7891. Web: http://www.bluegrassmuseum.org. 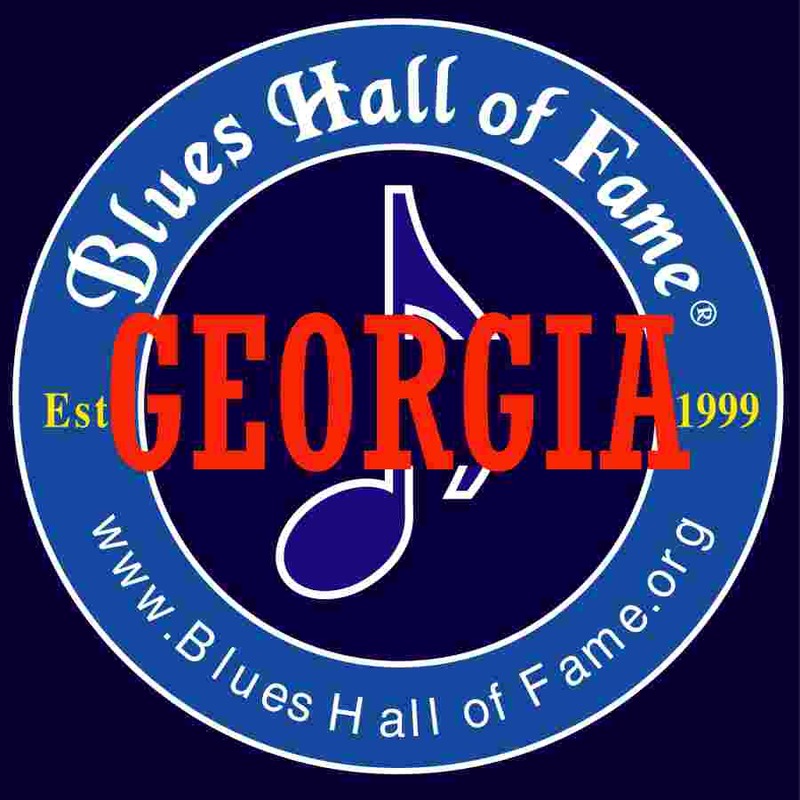 Georgia Blues Hall of Fame. Web: http://www.blueshalloffame.org. National Bobblehead Hall of Fame and Museum, P O Box 0982, Milwaukee WI 53201-0982; 800-414-1482. Email: info@bobbleheadhall.com. Web: http://www.bobbleheadhall.com. West Virginia Broadcasting Hall of Fame, The Museum of Radio & Technology, 1640 Florence Avenue, Huntington WV 25701; 304-525-8890. Web: http://www.mrtwv.org. Cable Hall of Fame, The Cable Center, 2000 Buchtel Boulevard, Denver CO 80210; 720-502-7500. Email: chof@cablecenter.org. Web: http://www.cablehalloffame.com. 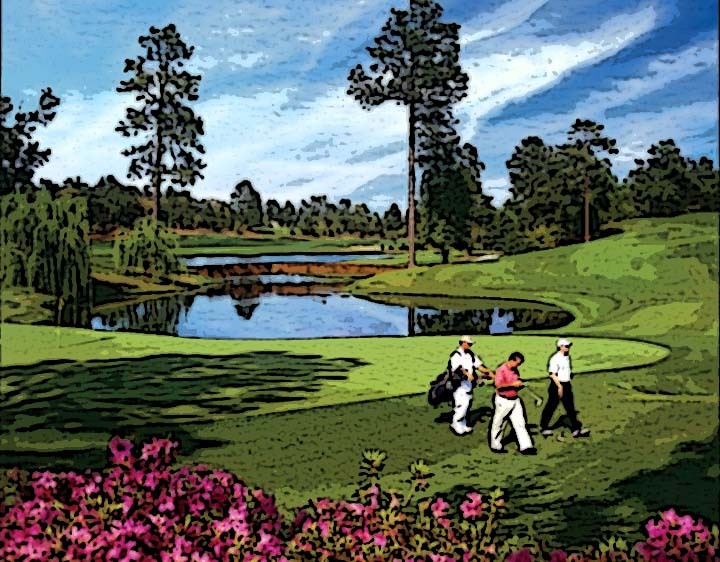 Pinehurst Caddie Hall of Fame, Pinehurst Resort, 80 Carolina Vista Drive, Pinehurst NC 28374; 855-235-8507. Web: http://www.pinehurst.com/about/caddies-pinehurst. Cajun Music Hall of Fame and Museum, Cajun French Music Association, P O Box 92575, Lafayette LA 70509-2575; 337-457-6534. Web: http://www.cajunfrenchmusic.org. Celebrity Walk of Fame (celebrities), 2001 44th Street S, Fargo ND; 701-282-3653. Web: http://www.fargomoorhead.com. Iowa Walk of Fame (celebrities), Sheridan Avenue, Shenandoah IA 51601; 712-246-3455. Web: http://www.shenandoahiowa.net. Potter’s Wax Museum (celebrities), 31 Orange Street, St. Augustine FL 32084; 904-829-9056. Web: http://www.potterswaxmuseum.com. The first wax museum in the U.S.
Cincinnati Reds Hall of Fame (baseball), Great American Ball Park, 100 Joe Nuxhall Way, Cincinnati OH 45202; 513-765-7923. Web: http://mlb.mlb.com/cin/hof/index.jsp. The Original American Clogging Hall of Fame, Louisburg NC 27549. Email: achf1981@gmail.com. Web: https://www.originalachf.com. 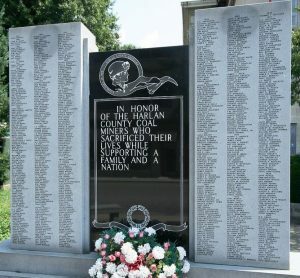 Harlan County Coal Miners Memorial Monument, 1st Street at E Central Street, Harlan KY; 606-573-2600; 800-216-2022. Virginia Communications Hall of Fame, VCU Robertson School of Media and Culture, 901 W Main Street #2216 / Box 842034, Richmond VA 23284; 804-828-2660; Fax: 804-828-9175. Web: https://robertson.vcu.edu/engage/va-hall-of-fame. 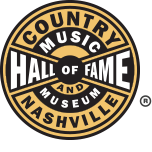 Country Music Hall of Fame and Museum, 222 Fifth Avenue S, Nashville TN 37203; 615-416-2001. Web: http://www.countrymusichalloffame.org. 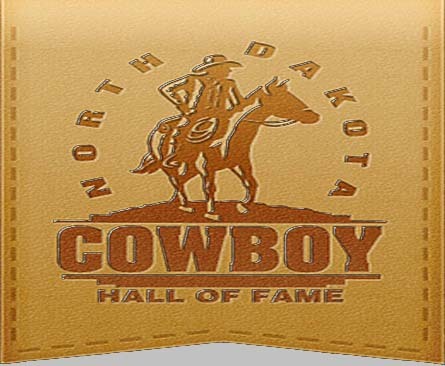 North Dakota Cowboy Hall of Fame, 250 Main Street, Medora ND; 701-623-2000. Web: http://www.northdakotacowboy.com. International Drag Racing Hall of Fame, Don Garlits Museum of Drag Racing, 13700 SW 16th Avenue, Ocala FL 34475; 352-245-8661; 877-271-3278. Web: http://www.garlits.com. North Dakota Firefighters Hall of Fame and Museum, 52 N Main Street, Garrison ND; 701-463-2344. Web: http://www.ndfm.org. National Fallen Firefighters Walk of Honor, National Fallen Firefighters Memorial Park, 16825 S Seton Avenue, Emmitsburg MD; 301-447-1365. 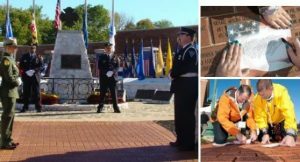 Web: https://www.firehero.org/fallen-firefighters/memorial-park/walk-honor. National Firefighting Hall of Heroes, Hall of Flame Museum of Firefighting, 6101 E Van Buren Street, Phoenix AZ 85008; 602-275-3473. Web: http://www.hallofflame.org. North Dakota Fishing Hall of Fame and Museum, Highway 37 Bypass, Garrison ND; 701-463-2628. Web: http://www.garrisonnd.com. Walk of Flame Green Chile Trail, Las Cruces NM. Web: http://www.lascrucescvb.org/green-chile. The World Food Prize Hall of Laureates, 100 Locust Street, Des Moines IA 50309; 515-245-3783. Web: http://www.worldfoodprize.org. College Football Hall of Fame, 250 Marietta Street NW, Atlanta GA 30313; 404-880-4800. Web: http://www.cfbhall.com. Pro Football Hall of Fame, 2121 George Halas Drive NW, Canton OH 44708; 330-456-8207. Web: http://www.profootballhof.com. Carolina Golf Hall of Fame, Carolina Golf Association, 140 Ridge Road, Southern Pines NC 28387; 910-673-1000. Web: http://www.carolinasgolf.org. Visit the hall of fame at the Carolina Hotel, Pinehurst Resort, 1 Carolina Vista Drive, Village of Pinehurst NC 28374; 855-475-8243. World Golf Hall of Fame, One World Golf Place, St. Augustine FL 32092; 904-940-4123; 800-WGV-GOLF. Web: http://www.worldgolfhalloffame.org. Harness Racing Hall of Fame & Museum, 240 Main Street, Goshen NY 10924; 845-294-6330. Web: http://www.harnessmuseum.com. Hockey Hall of Fame, Brookfield Place, 30 Yonge Street, Toronto, ON Canada M5E 1X8; 416-360-7765. Email: info@hhof.com. Web: http://www.hhof.com. United States Hockey Hall of Fame, 801 Hat Trick Avenue, P O Box 679, Eveleth MN 55734; 218-744-5167; 800-443-7825; Fax: 218-744-2590. Email: info@ushockeyhall.com. Web: http://www.ushockeyhallmuseum.com. Hollywood Walk of Fame, Hollywood Chamber of Commerce, 6255 Sunset Boulevard #150, Hollywood CA 90028; 323-469-8311. Email: info@hollywoodchamber.net. Web: http://www.walkoffame.com. American Home Furnishings Hall of Fame, 202 Neal Place, High Point NC 27262; 336-882-5900. Email: info@homefurnishingshallofame.com. Web: http://www.furniturehalloffame.com. The Walk of Fame is located outside Furniture Plaza. Web: http://www.furniturehalloffame.com/about-walk-of-fame.aspx. Memorial Walk of Champions (Horses), Kentucky Horse Park, 4089 Iron Works Parkway, Lexington KY 40511; 859-233-4303; 800-678-8813. Web: http://www.kyhorsepark.com. Iowa Hall of Pride, Iowa Events Center, 330 Park Street, Des Moines IA 50309; 515-280-8969. Web: http://www.iowahallofpride.com. 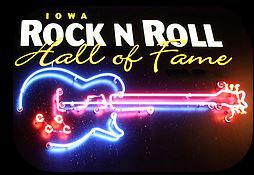 Iowa Rock ‘n Roll Hall of Fame and Museum, 91 Lake Street, Arnolds Park IA 51331; 712-332-6540. Web: http://www.iowarocknroll.com. Alabama Jazz Hall of Fame, Carver Theatre, 1631 4th Avenue N, Birmingham AL 35203; 205-327-9424. Web: http://www.jazzhall.com. 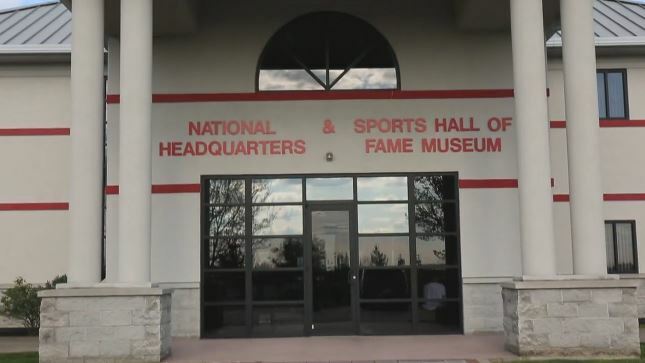 National LaCrosse Hall of Fame and Museum, 2 Loveton Circle, Sparks MD 21152; 410-235-6882; Fax: 410-366-6735. Web: http://www.uslacrosse.org/about-us-lacrosse/hall-of-fame. 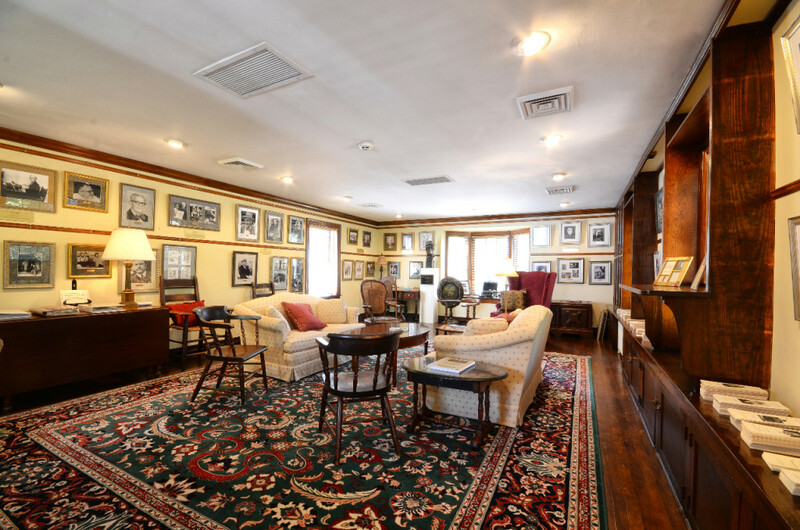 North Carolina Literary Hall of Fame, Boyd Room, Weymouth Center for Arts & Humanities, 555 E Connecticut Avenue, Southern Pines NC 28387; 910-692-6261. Web: http://www.weymouthcenter.org/nc-literary-hall-of-fame. Alabama Men’s Hall of Fame, Samford University, 800 Lakeshore Drive, Birmingham AL 35229; 205-726-4015. Web: http://www.samford.edu/alabama-mens-hall-of-fame. AMA Motorcycle Hall of Fame, American Motorcycle Association, 13515 Yarmouth Drive, Pickerington OH 43147; 614-856-2222; Fax: 614-856-2221. Email: info@motorcyclemuseum.org. Web: http://www.motorcyclemuseum.org. International Motorsports Hall of Fame, 3198 Speedway Boulevard, Talladega AL 35160; 256-362-5002. Web: http://www.motorsportshalloffame.com. Talladega Walk of Fame (motorsports), Davey Allison Memorial Park, Coffee and Court Street, Talladega AL 35161; 256-362-4261. Web: http://www.talladegawalk.com (website inactive). Features NASCAR’s top drivers. Alabama Music Hall of Fame, 617 U.S. Highway 72W, Tuscumbia AL 35674; 256-381-4477. Web: http://www.alamhof.org. Georgia Music Hall of Fame, University of Georgia Special Collections Library, University of Georgia, 300 S Hull Street, Athens GA 30602. Web: http://www.gamusichall.com. 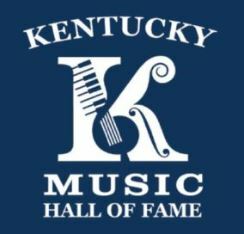 Kentucky Music Hall of Fame and Museum, 2590 Richmond Street, Mount Vernon KY 40456; 606-256-1000; 877-356-3263. Web: http://www.kentuckymusichalloffame.com. West Virginia Music Hall of Fame, Sutton WV; 304-765-2913. Web: http://www.wvmusichalloffame.com. Liberty Lane Walk of Fame (NASCAR), 114 Pearl Street, Darlington SC 29532; 843-339-9511. Web: https://discoversouthcarolina.com/products/26305. NASCAR Hall of Fame (auto racing), 400 E Martin Luther King Jr Boulevard, Charlotte NC 28202; 704-654-4400; 888-902-6463. Web: http://www.nascarhall.com. American Police Hall of Fame, 6350 Horizon Drive, Titusville FL 32780; 321-264-0911. Email: policeinfo@aphf.org. Web: http://www.aphf.org. Pony Express Hall of Riders and National Museum, 914 Penn Street, St. Joseph MO 64503; 816-279-5059; 800-530-5930; Fax: 816-233-9370. Web: http://www.ponyexpress.org. Arizona Quilters Hall of Fame, P O Box 1196, Queen Creek AZ 85142; 480-233-5022. Web: http://www.arizonaquiltershalloffame.org. The Quilters Hall of Fame, 1102 S Washington Street, Marion IN 46953; 765-664-9333. Email: admin@quiltershalloffame.net. Web: http://www.quiltershalloffame.net. Georgia Racing Hall of Fame, 415 Hwy 53 E, Cave Spring GA 30124; 706-216-7223. Web: http://www.georgiaracinghof.com. Georgia Radio Hall of Fame, Georgia Radio Museum, 400 Osborne Street, P O Box 5343, St. Marys GA 31558; 912-882-4000; 800-868-8687. Web: http://www.grhof.com. National Railroad Hall of Fame, National Railroad Museum, 120 E Spring Street, Hamlet NC 28345; 910-582-3555. Web: https://www.visitnc.com/listing/national-railroad-museum-hall-of-fame. North Dakota State Railroad Hall of Fame and Museum, 3102 37th Street NW, Mandan ND; 701-663-9322. Web: http://www.mdsrm.org. Theodore Roosevelt Rough Rider Hall of Fame, State Capitol Building, 600 East Boulevard Avenue, Bismarck ND 58505-0100; 702-328-2480. Web: http://www.governor.nd.gov/theodore-roosevelt-rough-rider-award. RV/MH Hall of Fame (recreational vehicles and manufactured homes), 21565 Executive Parkway, Elkhart IN 46514; 574-293-2344, 800-378-8694; Fax: 574-293-3466. Web: http://www.rvmhhalloffame.org. American Saddlebred Walk of Honor, American Saddlebred Museum, 4083 Iron Works Parkway, Lexington KY 40511; 859-259-2746. Web: http://www.asbmuseum.org. Also features the Saddlebred Sidewalk to honor horses. Say What!? Hall of Fame (political and societal idiots), Scott Stigler, Scott Stigler Show, KKOB-AM, 500 4th Street NW, 5th Floor, Albuquerque NM 87102; 505-243-3333. Email: scott@770kkob.com. Web: http://www.newsradiokkob.com/scottstiegler. Show Jumping Hall of Fame and Museum, Kentucky Horse Park, 4089 Iron Works Parkway, Lexington KY 40511; 859-233-4303; 800-678-8813. 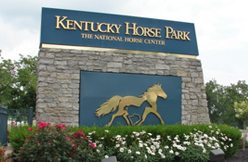 Web: http://www.kyhorsepark.com/equine-theme-park/attractions/show-jumping-hall-of-fame. American Ski Jumping Museum & Hall of Fame, 406 Main Street, Red Wing MN 55066; 651-245-8369. Web: http://www.americanskijumping.com. Ski jumping was born in Red Wing, Minnesota. 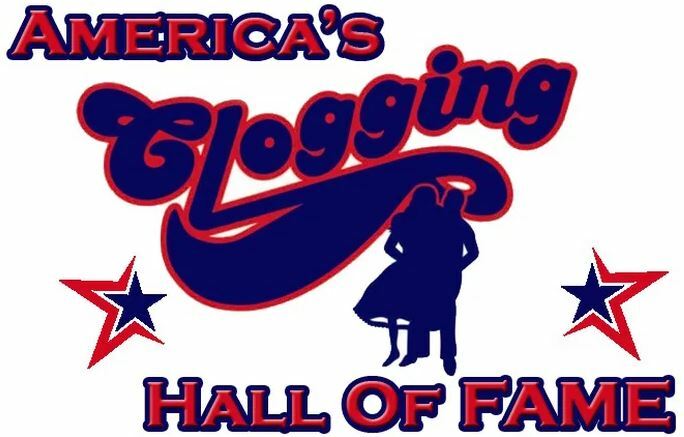 International Softball Congress Hall of Fame, P O Box 1083, Findlay OH 45839. Web: http://www.iscfastpitch.com. National Softball Hall of Fame, National Softball Association, 103 Bradley Drive, Nicholasville KY 40356; 859-887-4114. Email: nsahdqtrs@playnsa.com. Web: http://www.playNSA.com. International Space Hall of Fame, New Mexico Museum of Space History, 3198 N.M. 2001, Alamogordo NM 88310; 575-437-2840; 877-333-6589; Fax: 575-434-2245. Mail: P O Box 5430, Alamogordo NM 88311-5430. Web: http://www.nmspacemuseum.org. ACC Sports Hall of Champions, Greensboro Coliseum Complex, 1921 W Gate City Boulevard, Greensboro NC 27403; 336-315-8411. Atlantic Coast Conference. Web: http://www.acchallofchampions.net. Alabama Sports Hall of Fame, 2150 Richard Arrington Jr. Boulevard N, Birmingham AL 35203; 205-323-6665. Web: http://www.ashof.org. Florida Sports Hall of Fame, 101 Adventure Court, Davenport FL 33837; 863-420-2586; 800-828-7655. Web: http://www.flasportshof.org. Georgia Sports Hall of Fame, 301 Cherry Street, Macon GA 31201; 478-752-1585; Fax: 478-238-5448. Web: http://www.gshf.org. North Carolina Sports Hall of Fame, North Carolina Museum of History, 5 E Edenton Street, Raleigh NC 27601; 919-807-7900. Web: https://www.ncshof.org. P O Box 31524, Raleigh NC 27622; 919-845-3455. Northeast Georgia Sports Hall of Fame, Northeast Georgia History Center, 322 Academy Street NE, Gainesville GA 30501; 770-297-5900. Web: http://www.negahc.org/pages/27/sports-hall-of-fame. 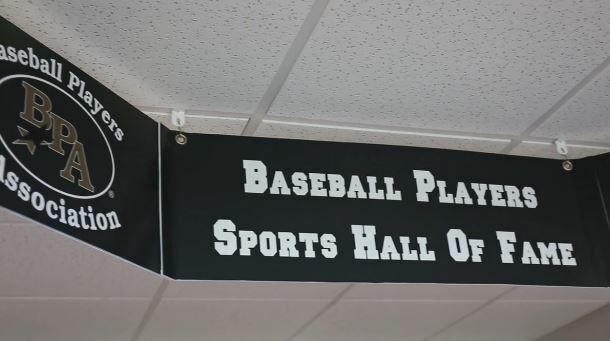 Missouri Sports Hall of Fame, 3861 E Stan Musial Drive, Springfield MO 65809; 417-889-3100; 800-498-5678. Web: http://www.mosportshalloffame.com. North Dakota Sports Hall of Fame, 212 3rd Avenue NE, Jamestown ND; 701-252-8088. Web: http://www.jamestownnd.org/departments/civic-center/sports-hall-of-fame. National Sprint Car Hall of Fame & Museum, 1 Sprint Capitol Place, P O Box 542, Knoxville IA 50138; 641-842-6176; 800-874-4488; Fax: 641-842-6177. Web: http://www.sprintcarhof.com. Taxidermy Hall of Fame of North Carolina, Antique Tool Museum, Christian Book Store, 156 NW Broad Street, Southern Pines NC 28387; 910-692-3471. Web: https://www.visitnc.com/listing/taxidermy-hall-of-fame-of-nc-antique-tool-museum-creation-mu. South Carolina Tennis Hall of Fame, Belton Depot, 50 N Main Street, Belton SC 29627; 864-338-9087. Web: http://www.beltontennis.com/halloffame/sctpf.htm. Aiken Thoroughbred Racing Hall of Fame and Museum, 135 DuPree Place, Aiken SC 29801; 803-642-7613. Web: http://www.aikenracinghalloffame.com. Walk of Heroes Veterans War Memorial, 3001 Black Shoals Road, P O Box 289, Conyers GA 30012; 770-483-0995. Web: http://www.walkofheroes.org. Alpharetta Walk of Memories (Veterans), Veterans Memorial Park, American Legion Post 201, 201 Wills Road, Alpharetta GA; 770-475-9023. Web: http://www.awesomealpharetta.com/what_to_do/walk-of-memories. USA Water Ski Hall of Fame, USA Water Ski Foundation Museum, 1251 Holy Cow Road, Polk City FL 33868; 863-324-2472. Web: http://www.usawaterskifoundation.org. Alabama Women’s Hall of Fame, A. Howard Bean Hall, Judson College, 302 Bibb Street, Marion AL 36756; 334-683-5100. Web: http://www.awhf.org. National Wrestling Hall of Fame, Dan Gable Museum, 303 Jefferson Street, Waterloo IA 50701; 319-223-0745; Fax: 319-233-3477. Web: http://www.nwhof.org/waterloo. National Wrestling Hall of Fame and Museum, 405 W Hall of Fame Avenue, Stillwater OK 74075; 405-377-5243; Fax: 405-377-5244. Web: http://www.nwhof.org/stillwater. Kentucky Writers Hall of Fame, Carnegie Center for Literacy and Learning, 251 W Second Street, Lexington KY 40507; 859-254-4175. Email: ccll1@carnegiecenterlex.org. Web: http://carnegiecenterlex.org/event/ky-writers-hall-fame.